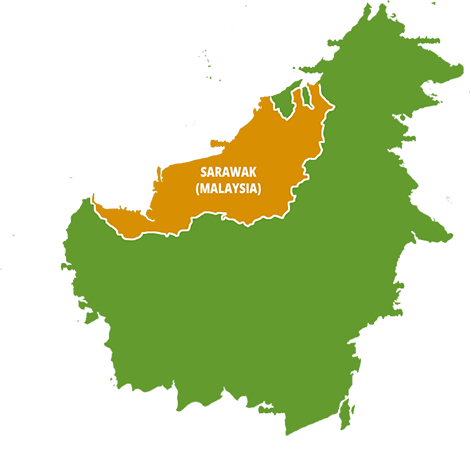 Our Green Vein Thai is not harvested and grown in Thailand but is harvested and grown in Malaysia. This green strain is a bit unique in properties. 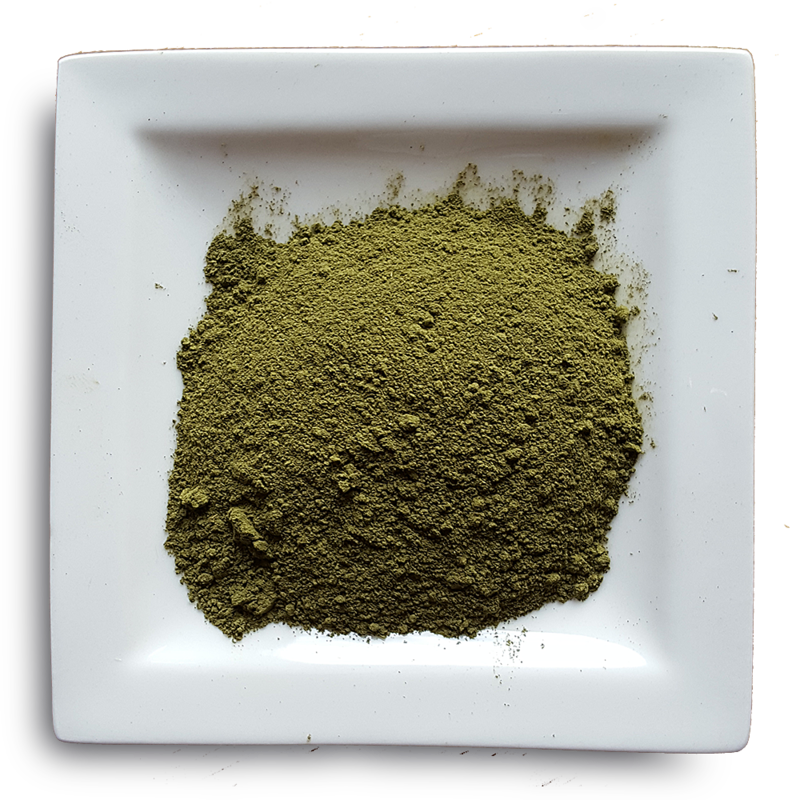 It can almost (but not quite) be substituted for a white vein kratom. 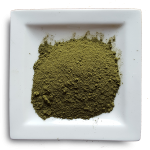 The properties and effects are a tad more energetic and euphoric compared to most green kratom strains (Green malay, Green Borneo etc). The Green vein Thai does have more mellow and sedating effects compared to the White vein Thai but these shine through especially when taking higher dosage and / or later in the burn. Some people do describe this strain as a “feel good kratom”. It can make people more confident and social in group situations and people that are (mildly) depressed can get a more happy and uplifting feeling. Effects typically can last between 3 up to 6 hours depending on dosage and physical condition. 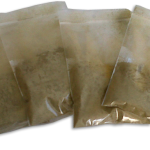 It is a good kratom to use for instance prior to an important job interview, or a nice date. it is also a beneficial strain to use as a pre-workout booster and (like the White Thai) prior to heavy and long physical or mental labour. If you suffer from mild anxiety, stress or a light depression this strain could also be considered. One of my favorite strains. It’s perfect for the beginners, with good taste and effects. Easily one of the best strains around. Energetic without the ‘push’ of other strains like GVB, it is helpful in a number of roles that make it one of my firm favourites. Its superior strength, price and fantastic quality mark it out as a strain that everyone should try. Leuk om weer eens wat nieuws te kunnen proberen. Fijne kratom soort. Prima voor de workout! Tried this kratom while being home in the evening, with nothing on the schedule to do. Not sure about the exact dose, but took a somewhat higher dose the normal, around 8-10 grams probably. The effects came on quite strong and gave a very relaxed feeling. Could sit in the chair and just listen to music and feel perfectly at peace with no need to move what so ever. However when standing up and actually doing something, you suddenly felt energized and ready to go and do anything. 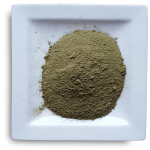 The kratom had a long lasting effect and kept on going strong for many hours, perfect if you just want to chill but also works equally good if you want to do something physical.